It was a crazy busy weekend that started with my daughter's Halloween party and parade to follow. Frankly, I am glad Halloween is over. It's not one of my favorite holidays, and this year it was especially tough since it was Harper's first Halloween since being diagnosed with type 1 diabetes. But at the end of the day, I love seeing the kids dressed up and excited about all the candy, even if they can't devour all of it. 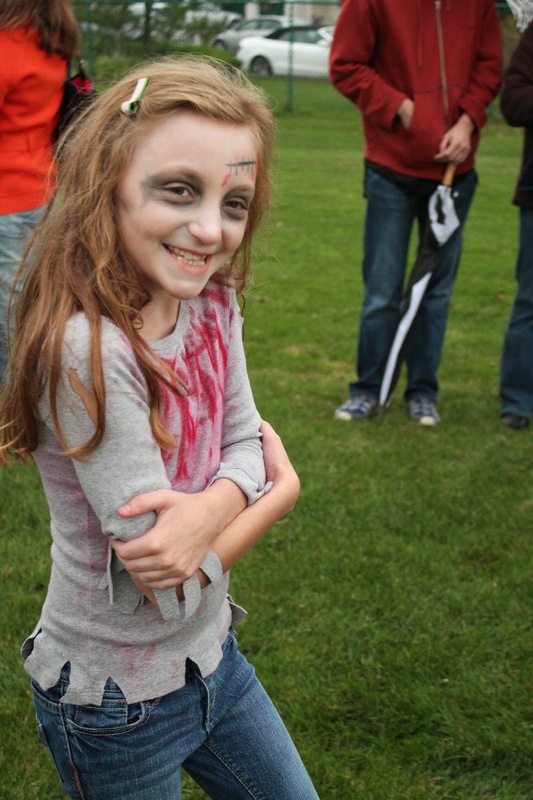 This year, we had a little zombie among us. On Saturday, we attended the Mom Mixer hosted by Colleen and Whitney. 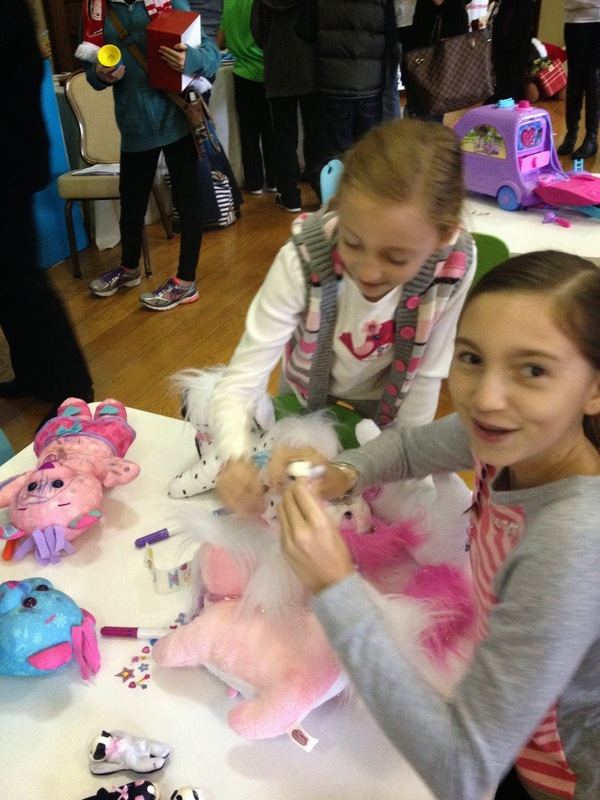 My girls were thrilled with all the toys that were showcased. And of course, it doesn't hurt to rub elbows with Elmo. The Surprise Kitty was a HUGE hit! On Sunday, we walked in the Meridian Momtourage fashion show at the New Jersey Women's Expo. This was our third year participating in the fashion show, and it's always a fun time. I have to say, my girls love being in the spotlight. I swear, they were made for modeling. Tonight, I sit here writing this post when I should be packing for our vacation. We are leaving tomorrow for 10 days in Florida. I am looking forward to some time off and some unplugged time with my family. I've got my stack of magazines ready for the beach and the pool. The girls and I had manis and pedis tonight, so we are beach and pool ready.